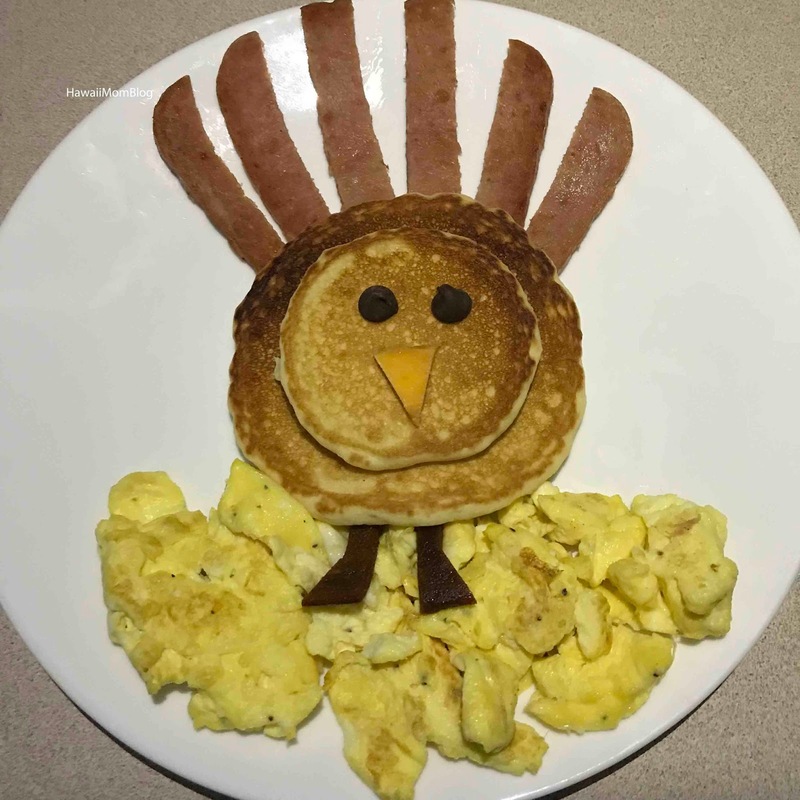 A Thanksgiving tradition in our home is to make "Turkey Pancakes" for breakfast - basically pancakes + whatever ingredients we have on hand to make pancakes look like turkeys. 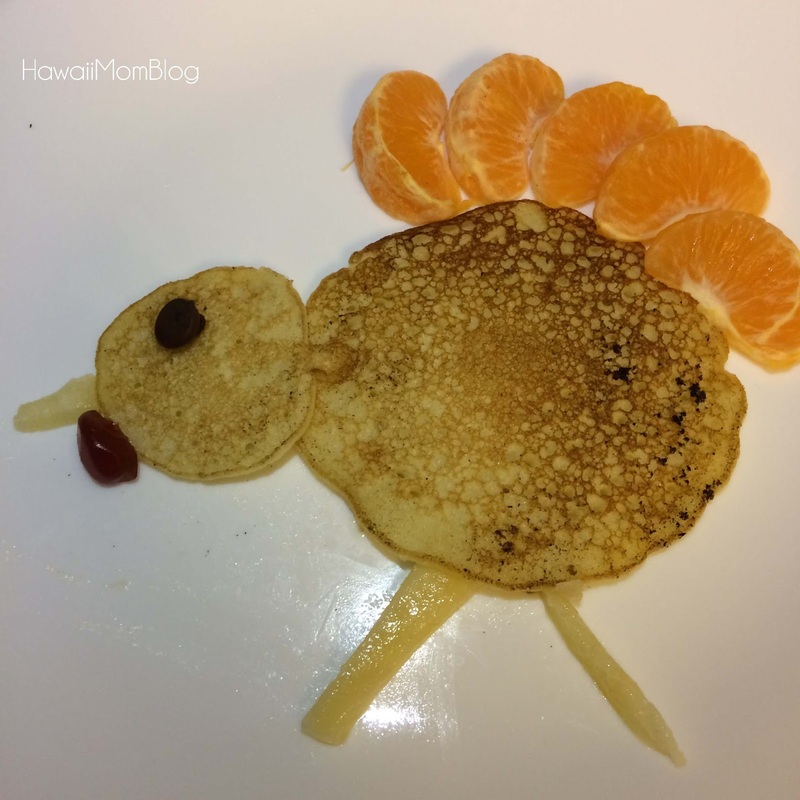 Just cook up a batch of pancakes, and let your kids' imagination run wild! 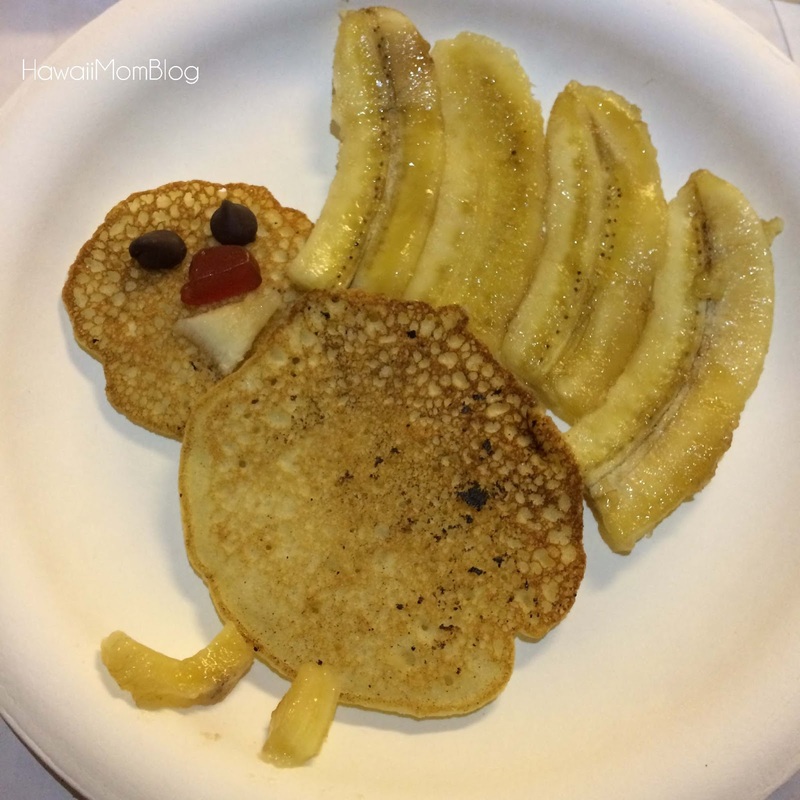 We've used SPAM, eggs, mandarins, bananas, fruit rolls ups, chocolate chips, dried mango, and even gummies for the eyes, beak, feet, and feathers. 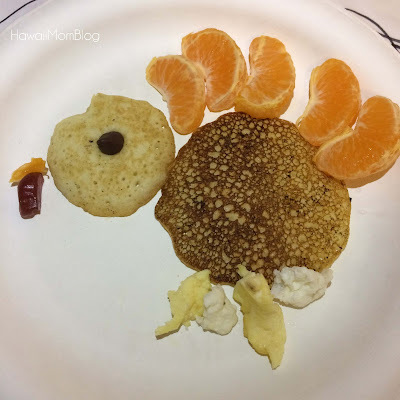 It's a fun way to start an entire day of feasting!